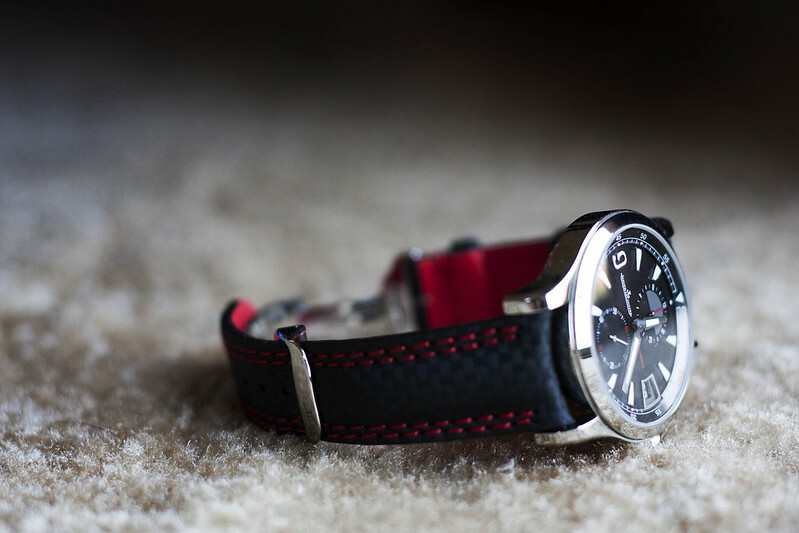 The strap is made specifically for the JLC Master Compressor watches. 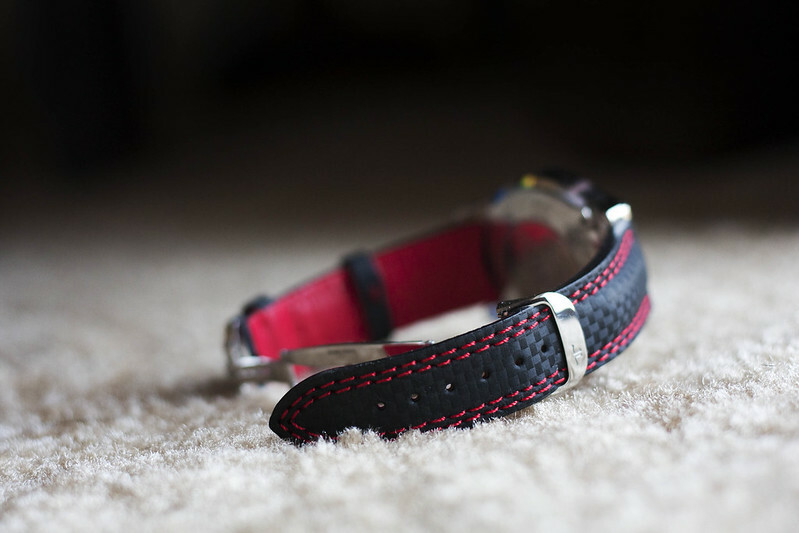 It comprises carbon fiber patterned nylon on the outside with red color double stitching and red calf lining on the inside. 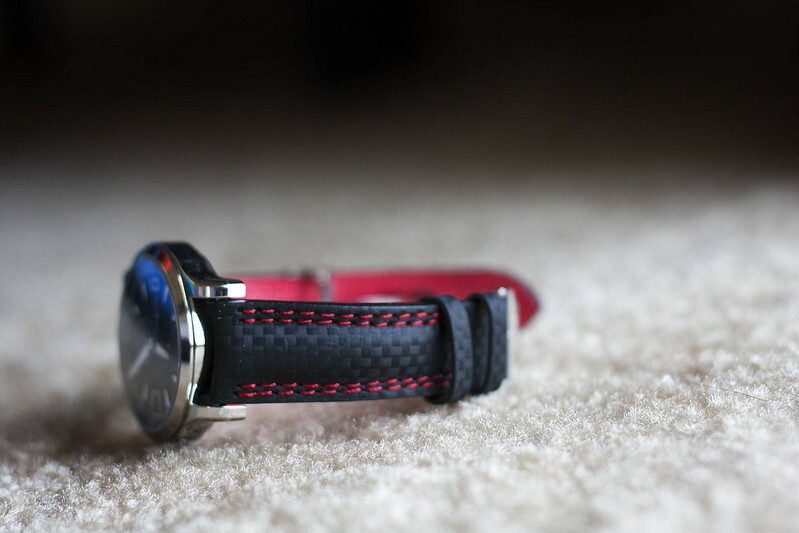 The carbon fiber patterns along with the color combination makes the watch a lot sportier, which is very fitting with the master compressor watch in my opinion. 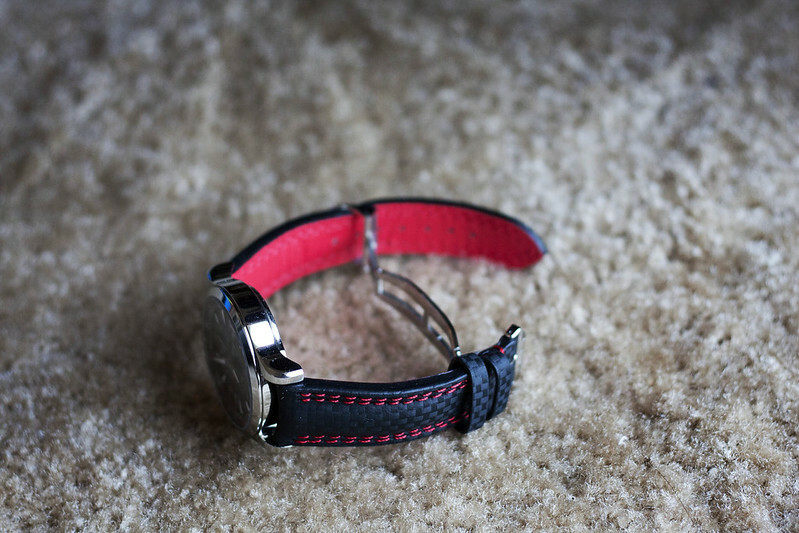 At first, I was afraid that the red interior lining might be too flashy but I found it to be perfect after a couple of days of wear; only a very small portion of the red lining near the tip of the strap will show when it's worn. This strap is much thicker than the OEM alligator. For me, I would prefer this thickness as it makes the watch wears better on my rather small wrist. I also like how it tapers out toward the tail. 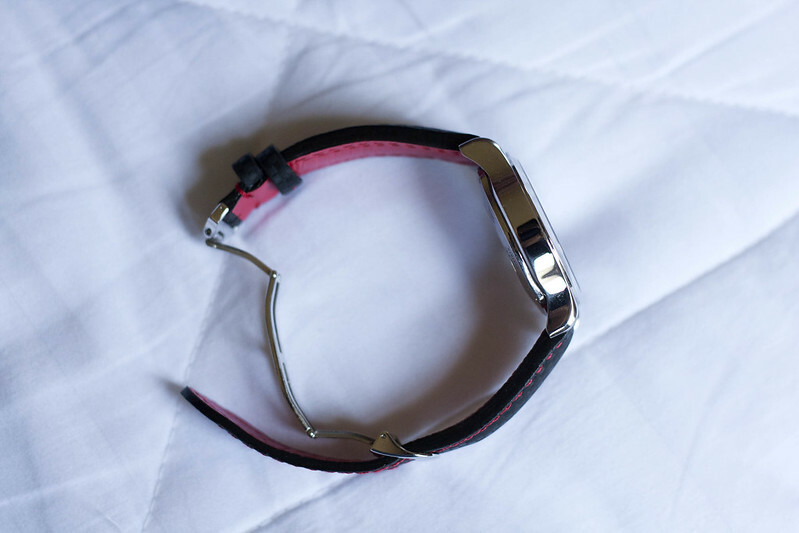 Similar to the OEM strap, it also has a pointy tail. The strap appears to be very stiff when I first got it. But it has conformed to the shape of my wrist just after one day of wear. It is very comfortable. Previous Topic: What r u wearing???? ?